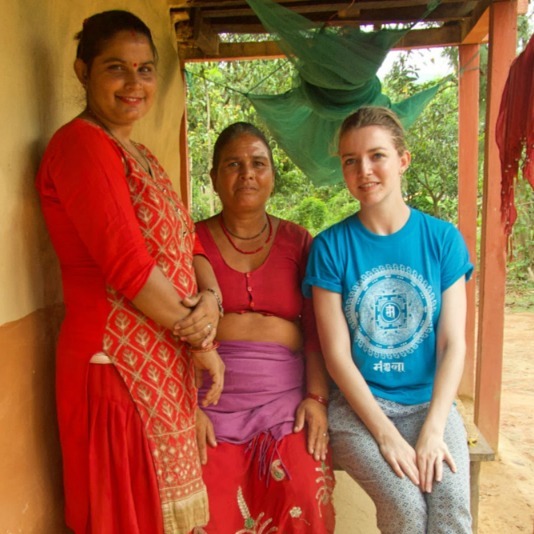 2018 Peace Fellow Caroline Armstrong Hall (Fletcher School at Tufts University) worked with teenage girls in western Nepal, helping them to understand and manage menstruation. What a video on the practice of chhaupadi here! The Centre for Agro-Ecology and Development (CAED), has partnered with AP since 2008 and works to expose and prevent threats to the reproductive health of marginalized Nepali women and girls. In 2018 we agreed to support a new CAED campaign to eliminate the shocking cultural practice of chhaupadi, which banishes women and girls to a cowshed during menstruation. 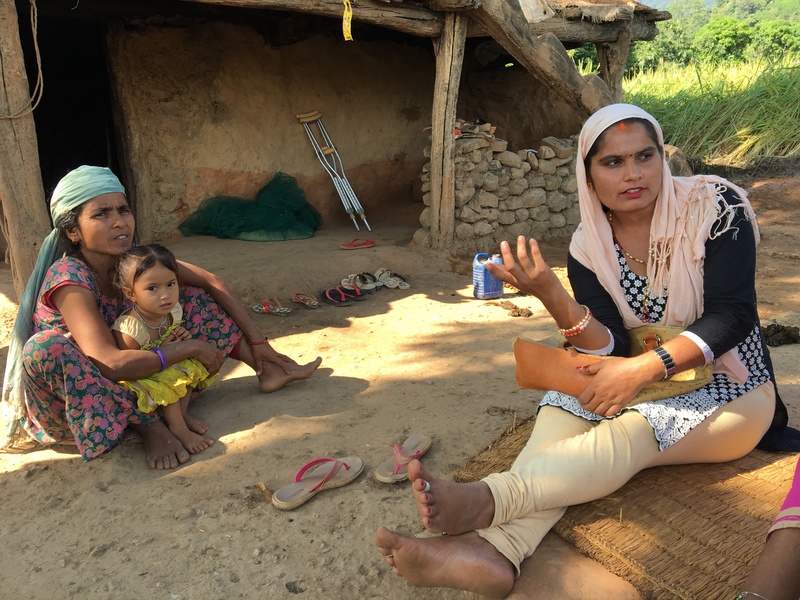 After several young women died from snakebites, asphyxiation and pneumonia, the government enacted a law banning chhaupadi that will take effect this August. The 2019 Peace Fellow will help CAED to rescue girls from chhaupadi in the Surkhet District and train community members to persuade their families to end the practice. The fellow will also assist CAED in launching a persecution to test the new law, and link the organization to advocates for reproductive rights in Kathmandu and internationally. Champa Chalise, 14, is one of many girls and women in Gutu village who has rejected chhaupadi in response to CAED’d advocacy. Dila Kandel, a facilitator with CAED’s Surkhet team, helps children to lobby for an end chhaupadi in the village of Gutu. 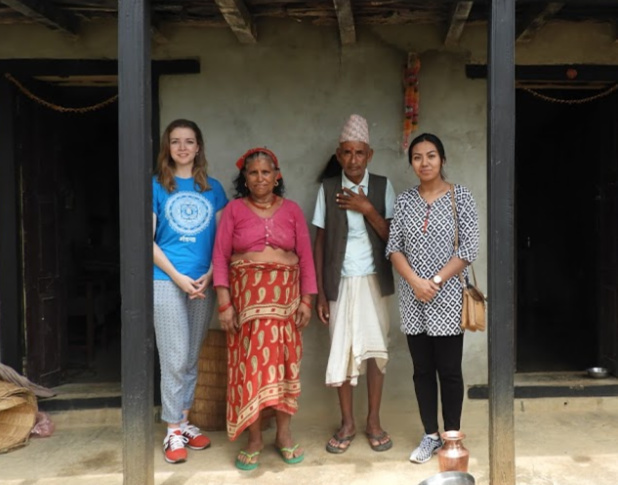 “My fellowship with the Advocacy Project’s partner organization in Nepal, the Center for Agro-Ecology and Development, resulted in more meaningful outcomes than I had ever expected. For my assiduous host organization, it culminated in co-submitting a report to the UN Committee on the Elimination of Discrimination Against Women. Coupled with the opportunity to address grassroots accounts of discrimination faced by Nepali women and girls directly with the Committee Members in Geneva, the organization acquired a sharp new tool to add to its advocacy toolbox. In preparation for this report, I acquired valuable fieldwork experience in a part of the world that was wholly new to me. I have no doubt that I will continue to rely on valuable lessons I learned from my colleagues during this time for the rest of my career.” – Caroline Armstrong Hall, the 2018 Peace Fellow in Nepal.